The Spectre Pro 200mm LED Case Fan from BitFenix comes outfitted with blue LED lighting and offers a high pressure, high CFM design that provides optimal cooling suitable for water-cooling setups. It features a dual frame construction that helps to dampen vibrations, which can cause unnecessary noise. Additionally, it has a blue inner ring and a translucent black frame as well as blades. Reinforced fan blades prevent warping at high RPM levels, while focused airflow ensures cool air can reach all of the installed components. The fan features FDB technology for low noise, on-the-fly light switching, and Spectre Pro LED. Engineered for maximum pressure and airflow, the fan delivers a torrent of air that will keep your system cool even when the action heats up. Using a dual frame construction, Spectre Pro LED fan provides vibration dampening properties, thus helping to keep noise levels in check. High rotation speeds can actually warp fan blades while in motion, resulting in turbulence and noise. Spectre Pro LED features reinforced fan blades that resist warping even when spinning at high speeds for maximum cooling performance. 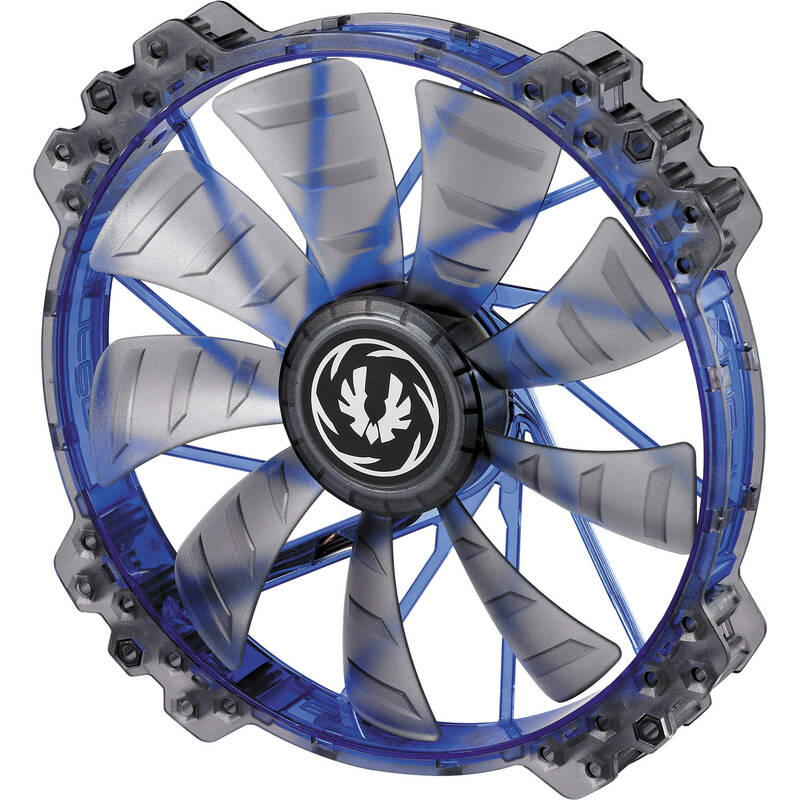 The curved design of Spectre Pro LED fan blades and cage directs airflow in a focused column, minimizing diffusion and allowing cool air to reach your components. Spectre Pro LED features fluid dynamic bearing technology for minimum noise and maximum operating life. Spectre Pro LED fan has on-the-fly light switching technology, which allows you to turn the fan lights on and off with the push of a button using compatible BitFenix chassis and accessories. Four anti-vibration rivets help further deaden noise-making vibrations, and for noise control install the included low noise 7V adapter. Box Dimensions (LxWxH) 8.1 x 8.0 x 1.2"